This week sees Abu Dhabi-based Etihad entering the longhaul fare sale fray, arguably taking over from where its fellow Middle Eastern competitor Qatar Airways left off last week. The headline entry fare of £415 return to the UAE may not be as low as Qatar’s flash sale of £285 headliner to Abu Dhabi, but Etihad’s service to its desert home is, of course, non-stop – and for onward destinations fares are largely comparable to those seen in the Qatar sale. Added to which, Etihad has a larger overall route network and is making its fares available until 23rd February 2015, for travel through to 10th December 2015. As a comparison, Qatar’s Business Class fare of £2775 to Perth from London was slightly lower than Etihad’s £2949 in this sale. Etihad also flies to Sydney one-stop from the UK, though, while Qatar does not currently serve Australia’s biggest city. One thing to note, however, is a recent change in policy resulting in not all Etihad Business Class fares qualifying for chauffeur transfers. These are now limited to J/C/D/W booking classes. Sale fares book in to Z class and therefore should not include transfers. Fares are non-cancellable but can be changed for a fee and any fare-difference. 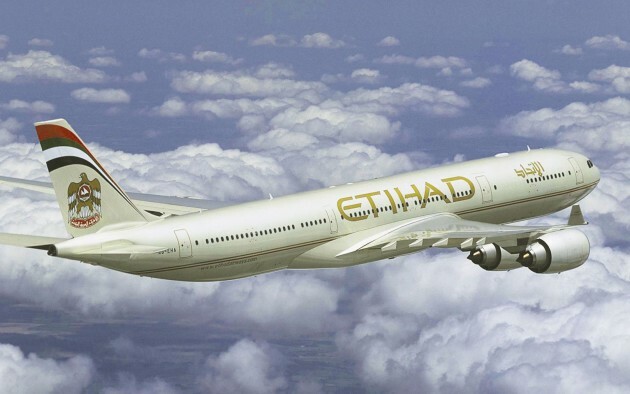 Departures from Manchester are also available in the Etihad sale, and Edinburgh flights will be included with the Abu Dhabi route’s launch on 8th June 2015. For full details and to book, visit etihad.com. For a list of published starting fares in this sale, scroll down or click ‘READ MORE’ below. Until 30th November 2014, Etihad Business Connect members who are also existing members of other airlines’ loyalty programmes at a ‘Silver’ or ‘Gold’ level or higher are invited to have their Etihad Guest programme status matched. Etihad Guest Gold and Silver Card holders enjoy wait list privileges, fast-track immigration as well as baggage priority – no matter the cabin class, the bags will arrive with Business & First Class baggage. Status also affords up to an additional 15kg luggage allowance and up to 50% additional Etihad Guest Miles when flying on eligible fares. Details of your title, full passport name, mailing address and date of birth. – and they should together be sent by email to EYGcorporate@etihad.ae. If you are not yet a member of Etihad Guest and do not have a membership number, then you will be enrolled in the programme automatically. 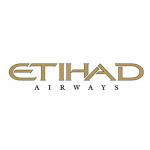 For more information on the benefits of Etihad Silver & Guest Gold membership, visit etihad.com. For further details on the Etihad Business Connect Corporate Loyalty Programme, visit etihadbusinessconnect.com. 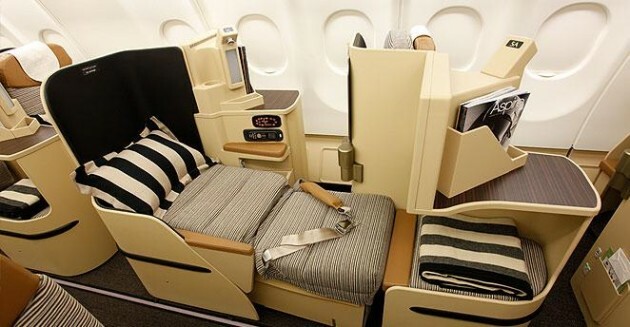 United Arab Emirates’ national airline Etihad has a Summer Flash Sale running with advertised Business Class fares from Paris Charles de Gaulle to the Middle East and Asia at EUR1,500 return. The travel period is from 1st to the 31st August 2014, and bookings must be made no later than 2nd August 2014. Destinations included in the flash sale are Abu Dhabi, Bangkok, Phuket and Ho Chi Minh City. However, an initial check of available fares on the Etihad website shows that there are at least some seats available between Paris and Bangkok for as little as EUR1350.51 return, or GBP1075 at spot conversion rate. 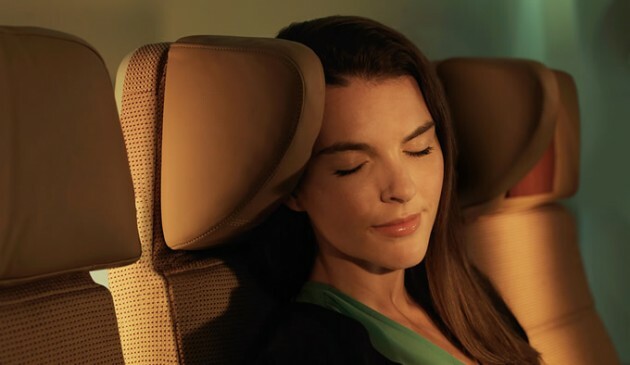 Etihad’s Pearl Business Class is widely praised, and features fully-flat seating with all seats enjoying forward-facing aisle access. Business Class passengers are also offered limousine transfers at both ends of their journey, with relatively generous mileage allowances. 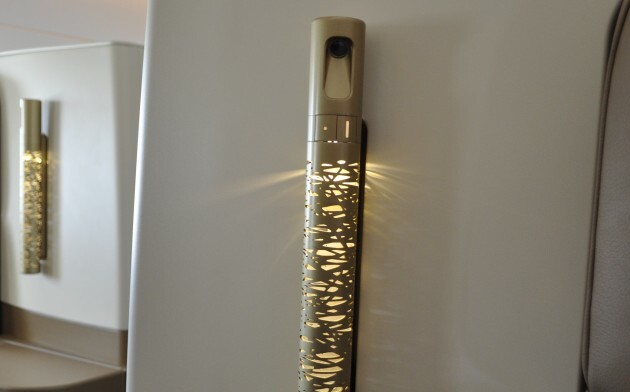 These promotional fare also earn credit in the Etihad Guest loyalty programme. For those looking to travel in September rather than August a promotional code offering 10% off all Etihad fares has also been loaded. Simply enter the code ‘GRIP002’ on the booking homepage at etihad.com, and discounted fares with a yellow star will be returned. The code is valid for departures between 1st and 30th September 2014. To check availability and to book, visit etihad.com. Etihad has launched a sale in its Coral Economy and Pearl Business Class cabins, to its home hub of Abu Dhabi and to destinations worldwide. The sales cover travel dates up to the end of June for economy travel, and right through to the end of November in business. Fares are valid from Berlin in this sale, a city that can be easily reached from many UK and European cities. Indeed, for United Kingdom-based travellers, the opportunity to avoid longhaul Air Passenger Duty potentially makes the fares particularly attractive. Bookings for the Coral Economy Super Sale must be made by 8th February 2014, and in the Pearl Business Class Premium Sale the booking deadline is 2nd March 2014. There’s a minimum 4 day and maximum 2 month stay requirement in economy, and 3 days/4 months in business. 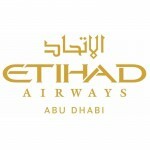 To check fares and book, visit etihad.com. For a selection of ‘sale’ fares, click ‘Read More’ or scroll down. 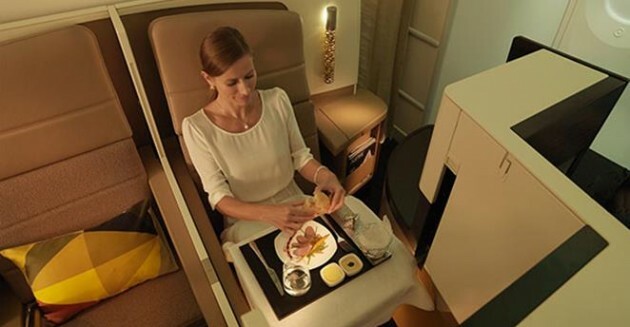 Members of the Etihad Guest frequent flyer programme can save up to 25% on the usual number of miles needed for a GuestSeat redemption in Diamond First Class, Pearl Business Class or Coral Economy Class. The promotion is open to Etihad Guest members and the airline is promoting the programme with increased availability in all cabins. Reduced mileage travel is available between Abu Dhabi and 19 destinations worldwide, including Manchester, Dublin and Frankfurt in Europe; Chicago, New York and Washington in the USA, and Brisbane in Australia. Tickets must be booked by 6th February 2014, and travel must be completed by 31st March 2014. The terms and conditions also mention that travel must commence by 1st February 2014, but this would seem to contradict the ticket booking deadline, and availability searches show departures up to the 6th. There’s also a slight discrepancy between the mileages shown on the page linked to below, and the actual mileage needed. The variation is in the member’s favour though, with the advertised mileage of 34,180 Guest Miles from Manchester to Abu Dhabi in Pearl Business Class actually costing 34,062 Guest Miles. Members needing to top up their Etihad Guest Miles balances prior to redeeming should remember that American Express Membership Rewards can be transferred to Etihad on a 1:1 basis, and recent transfers have posted between 1 and 4 working days after the request is made. Visit americanexpress.co.uk for more information on how to transfer Membership Rewards into Guest Miles. 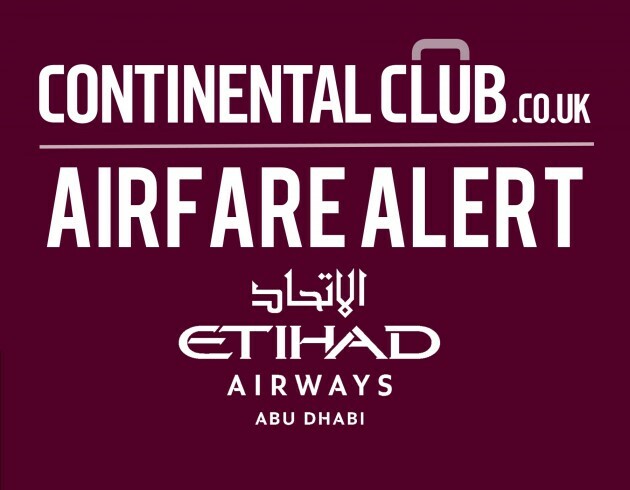 For full details on the Up To 25% Off GuestSeats promotion and to book, visit etihad.com. If you thought that ritzy, glitzy Dubai was the capital city of the United Arab Emirates, then you’d be wrong. And if you thought that the national airline of the UAE was based there too then you’d score ‘nil points’ on that quiz question as well. In fact, it’s Abu Dhabi that holds the capital city honour, and Etihad Airways that flies the flag as the UAE’s national airline. Established by royal decree in 2003, Etihad has become the world’s fastest growing airline serving destinations in 54 countries – including London Heathrow and Manchester in the UK. It’s a three-class airline, and markets a specific name for each cabin class: Coral Economy; Pearl Business Class and Diamond First Class. For our first ever flight with the airline, we aimed high – and our journey to Abu Dhabi was booked in Diamond First on the overnight EY4 from Munich’s Franz-Josef Strauss Airport.